Who would have thought that human relations lie at the core of circular economy? It may be straightforward to conclude that the Kalundborg Industrial Symbiosis had never existed if the managing directors of the companies did not entertain the same group of friends, but this is actually putting it lightly. The Kalundborg Industrial Symbiosis originated in 1961, when Dansk Veedol A/S (later Esso and currently Statoil) spurred on the need for a cooling water supply. The first real symbiosis*, however, made its way into the world (yes, into Kalundborg) in 1972, when a pipeline was laid delivering the excess gas from the oil refinery to the gypsum board plant built by Saint-Goblin Gyproc. The Kalundborgese, at that point, had no idea that they had started a process that was both irreversible, and about to become a world-leading example. A bit of scenic context at this point can do no harm: Kalundborg is a small city (16,000 inhabitants), at the end of a trail track. Its deep-sea harbour spans the full length of the city, the wind seeps through every tiny crack in the wall, or, for that matter, windbreaker. Though endowed with an absolutely stunning historic city centre, Kalundborg can be surly in the winter, and even in spring. The best way to get warm is to find company at the sports clubs, music performances, the local cinema, or in one of the bars around town. The members of the Kalundborg Industrial Symbiosis all lived in the same village. Their children attended the same kindergarten, then secondary school, then high school. They frequented the same bars and they bought their milk from the same grocery store. This social cohesion laid the foundation for the bond of trust necessary for these companies to work together. Picture this: if your company’s prosperity depends largely upon the success (i.e. residual products) of another factory, the balance is, at the very least, frail. A personal relationship in setting up these professional bonds of trust is vital in making an industrial symbiosis work. Trust does not only refer to the interpersonal connections, but also to the faith that a company relies on to have in their product’s market. This is another reason why the Kalundborg Symbiosis is a great success: the perspective of circular economy was not implemented from a idealistic stance: all companies simply fulfilled an economic need. In order to transfer this concept to other European cities, or even world-wide, companies do not have to entertain an utopian “Let’s save the world” philosophy, they simply need to be close to each other and confident in the market they serve. 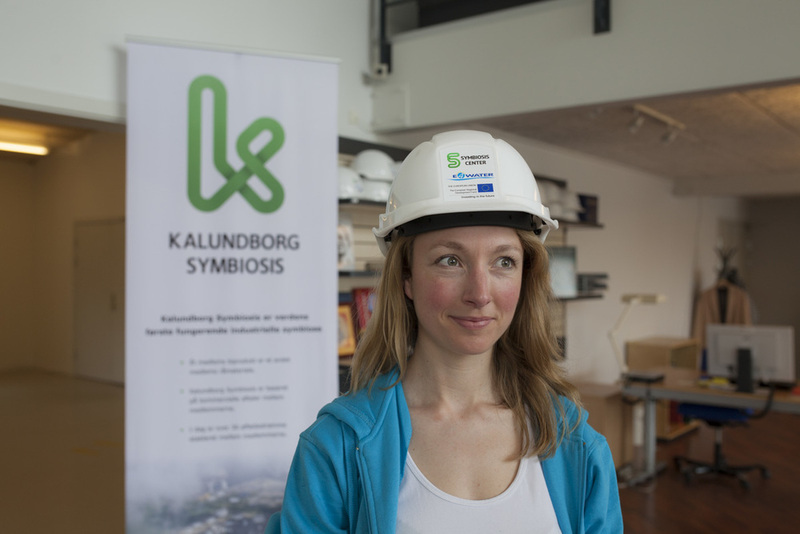 What Kalundborg Industrial Symbiosis teaches us is that circular economy is, under the right circumstances, very possible. One of its main components are actual human beings who come up with the right ideas, trust each other, set up shop in the same town, and make it work. An example of creatively connected ideas originated when several companies attended the same workshop organized by Kalundborg Symbiosis: Haribo, the company producing mouth-watering sweets was connected to a beekeeping company: sugary water out, sugary water in: easy does it. Who would have thought that the down-to-earth people of Kalundborg were ever the forerunners of a pre-LinkedIn symbiotic marketplace come to life!? *An Industrial Symbiosis is a business relationship focused on sharing resources. This kind of co-operation reduces the total impact of the industry on the environment, and the individual business improve their bottom-line figures as well as their competitiveness. ** In order to celebrate their 40 years of existence in 2015, Kalundborg Symbiosis published the booklet Systems Make It Possible / People Make It Happen.